Environmental Biology offers an accessible introduction to the core elements of biology and the biosphere. With balanced coverage of acquatic and terrestrial examples throughout, the text builds logically to present a clear understanding of the fundamental processes of life before examining its more complex components, namely individuals, populations, communities and ecosystems. A knowledge of environmental biology and its practical applications is essential for a deeper understanding of the environment. Environmental Biology offers an invaluable introduction to the living environment for all areas of study, from environmental history, agriculture and forestry, to impact assessment, climate change, ecology and conservation. 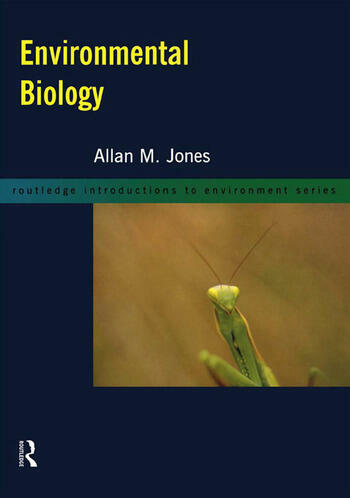 Allan M. Jones is Senior Lecturer in Biology and Ecology at the University of Dundee.